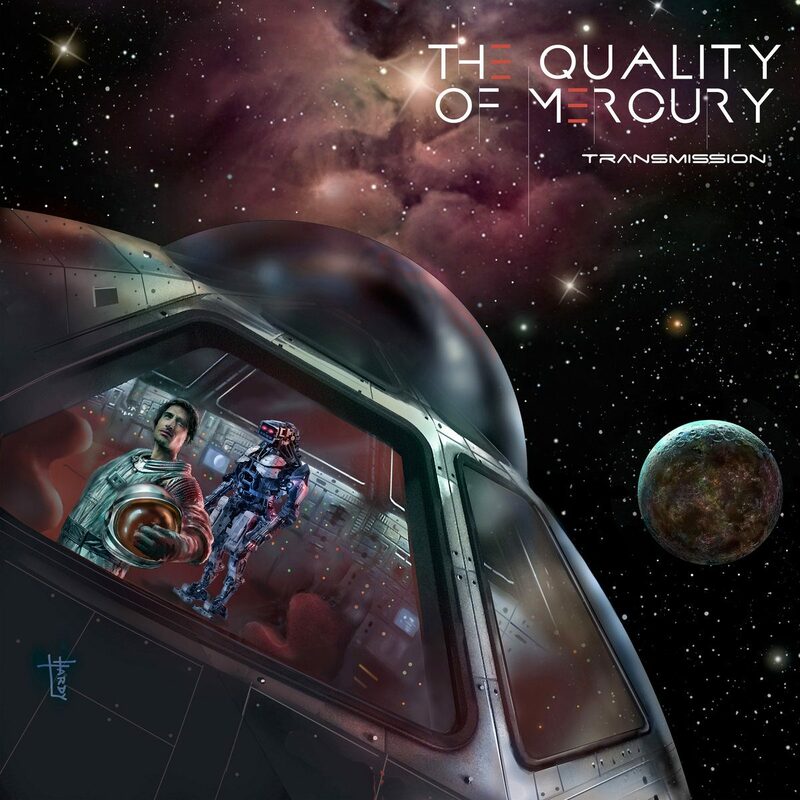 The Quality Of Mercury begin their new album Transmission with Deep Space, a microcosm of the styles and approaches that will come into greater focus on later cuts. Breathe in Stereo is a powerful track that ranges from emotive rock (e.g. Death Cab For Cutie, The Appleseed Cast) and progressive rock. There are so many twists and turns that listeners will experience during their time with Breathe in Stereo that the much more grounded Deprivation Sickness seems boldly stark in comparison. The composition begins with little more than a guitar strumming before opening up into something much more tempestuous. The multiple layers that fans will experience during their time listening to the track require a number of spins before everything can be unpacked. The Orion Ascension brings a heaviness to Transmission that is matched well by a more pensive and atmospheric sound. Hints of Ziggy Stardust as well as Blur can be discerned here, but the track’s longer run time gives The Quality of Mercury ample time to include a number of distinct movements. Her Eyes Are The Stars is the magnum opus of this album, requiring listeners to sit down and focus into the sheer mass of guitar fuzz, splashy guitars, and emphatic vocals that they will experience. A more experimental approach is taken here for great effect; The Quality of Mercury is able to make something that will have listeners sitting on the edges of their seats until the track’s closing notes. Transmission concludes with an assertive one-two punch with Andromeda and Terminal Velocity. This fifteen-minute section of the disc contains some of the rawest and most ferocious segments we’ve heard, while containing some of the same finesse that has been peppered through the release. The breakneck speed of The Quality of Mercury during the final gasps of Terminal Velocity provides fans with an emphatic end to an impressive album. Next Next post: Has modern digital art lost its artistry?